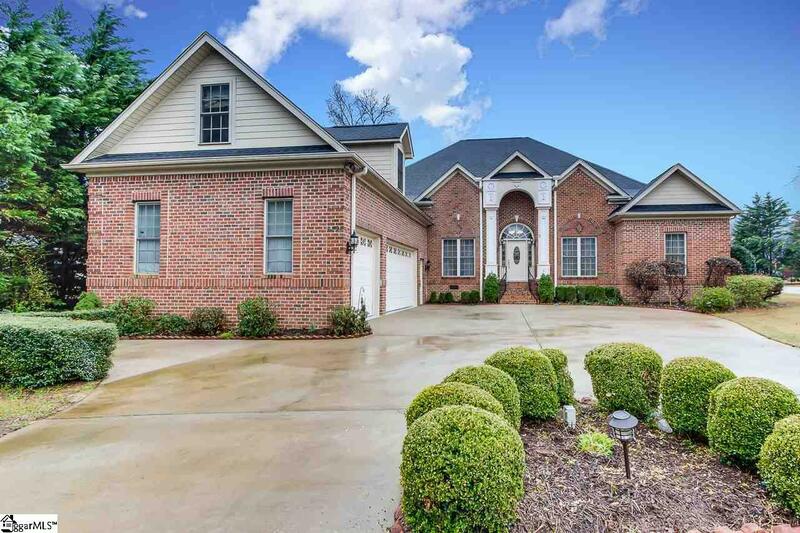 Amazing Price on this ALL BRICK, SINGLE STORY, ONE-OWNER CUSTOM HOME!! Located in a small community just off Woodruff Road puts you close to everything!! Located in Asheton Lakes, a neighborhood with walking paths, ponds and where nature abounds right outside your door. 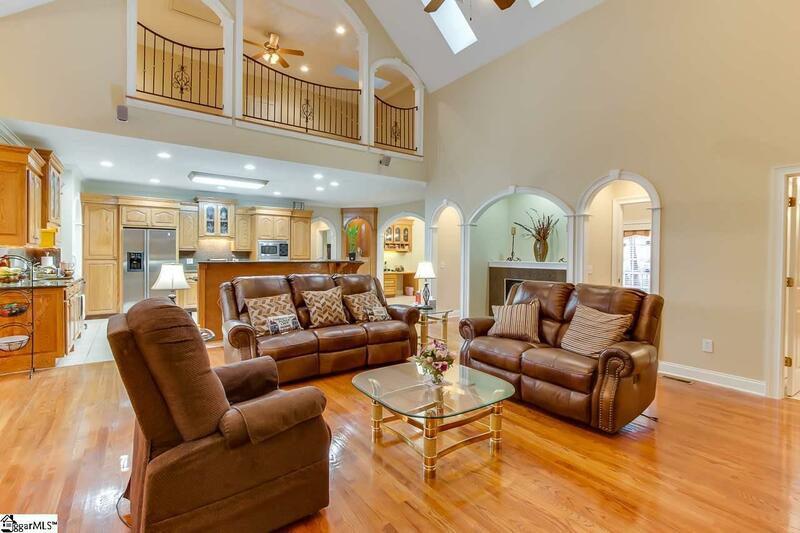 This elegant home provides a very open floor plan. 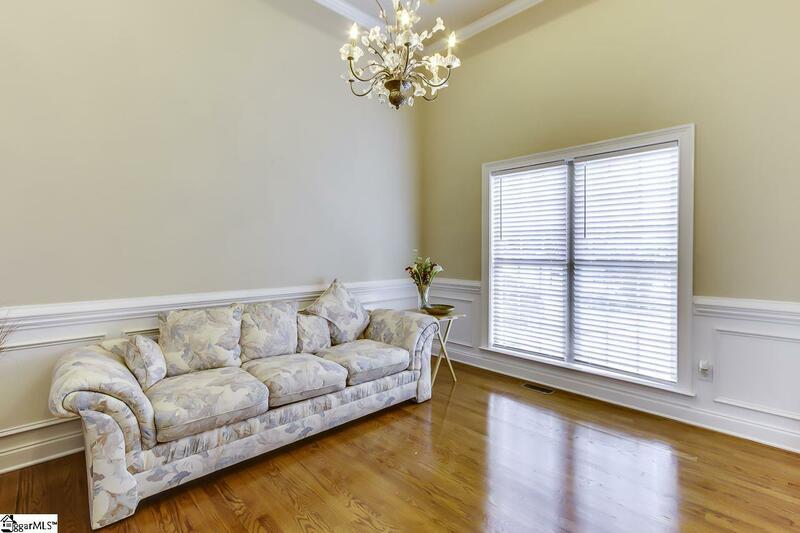 Upon entering, to the right of the foyer is the living room, a wonderful space for a quiet conversation. 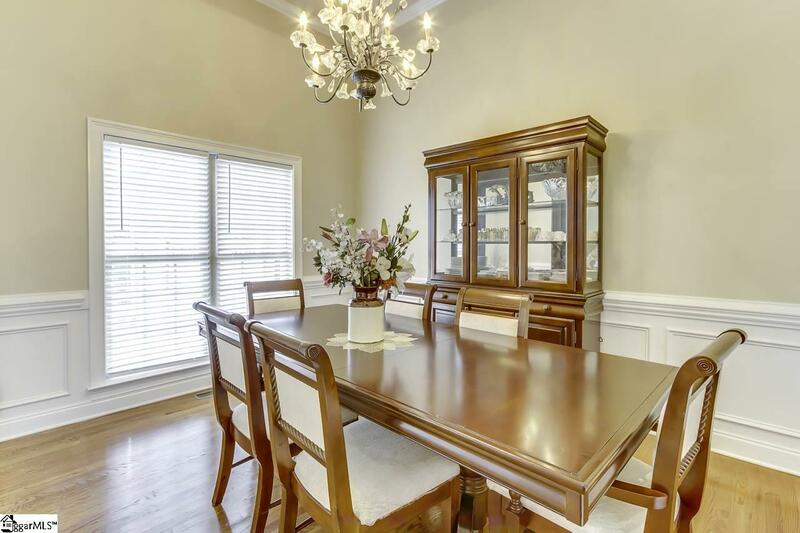 To the left is the formal dining room with a tray ceiling and large enough to accommodate a dining table and breakfront. Directly ahead you will see the dramatic two-story great room with vaulted ceilings accented by skylights and a double sided gas fireplace. There is an entertainment unit which happens to fit this space perfectly and will convey with the sale of the home. The kitchen is adjacent and overlooks this space. Take note of the custom hardwood cabinetry (which could easily be painted to meet today's fashion) and granite countertops. The chef will appreciate the gas cooktop, additional prep sink and loads of counter space. The appliances are stainless steel and all will convey with the home. Dont miss the spacious walk-in pantry. Just off the kitchen, accented by built-in cabinetry and a corner workstation, is the oversized breakfast room, the perfect place for a farm table. On the back side of the double fireplace you will find the warm and cheery sunroom which provides access by way of French doors to the large deck and private backyard. Through the pocket door you will find the utility room that can be used multiple purposes. In this split floor plan you will find three spacious secondary bedrooms which have access to two full bathrooms. The master bedroom is located on the opposite side of the home. This space has a tray ceiling and offers an abundance of space for the owner to find some respite. There are double closets and double sinks in the bathroom, a private water closet, separate garden tub and shower along with a linen closet there is no shortage of space. Rounding out the remainder of the main floor is the laundry room, complete with cabinet storage and a utility sink - the washer and dryer will remain. Tucked away is the staircase that leads to the extra-large bonus room with loads of attic cubbies for your storage needs. You will also find a full bathroom and a large loft area that overlooks the great room below and is accented by wrought iron rails. With a little creativity this space could be converted to a 2nd living area for a nanny, live-in parents OR a teen apartment. This home boasts a rare THREE-CAR GARAGE, offers many upgrades and easy living in this overly spacious home. There is room for everyone and everything!! This home is a tremendous value for the space! Listing provided courtesy of Angie Brazell of Keller Williams Greenville Cen.